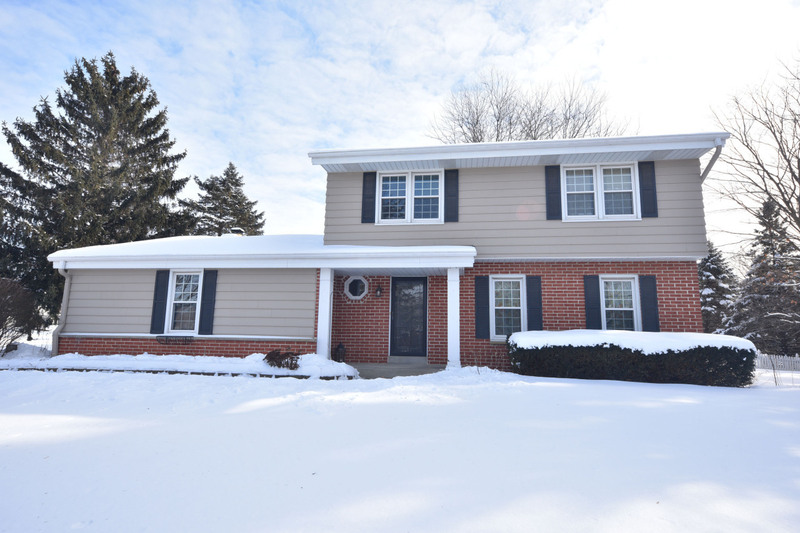 2,274 sq ft; lot: 16553 sq ft - MLS# 1621648 Courtesy of Shorewest Realtors, Inc.
Set on a cul de sac, in the Elmbrook School District, this nicely updated home offers 4 bedrooms, and 2.5 baths. Spacious living/dining L, eat-in-kitchen with granite counters, and a walk-in pantry make entertaining easy. Eat-in area flows right into the family room for even more space for having fun! Relax by the fireplace or take family game night down to the finished rec room. Upper level offers 4 large bedrooms and two newly renovated bathrooms. Neutral decor throughout. New AC 2018, new water heater 2018, furnace revamped 2018. Look no further...just move in. Close to walking/biking trails, shopping and more. Home Warranty included.